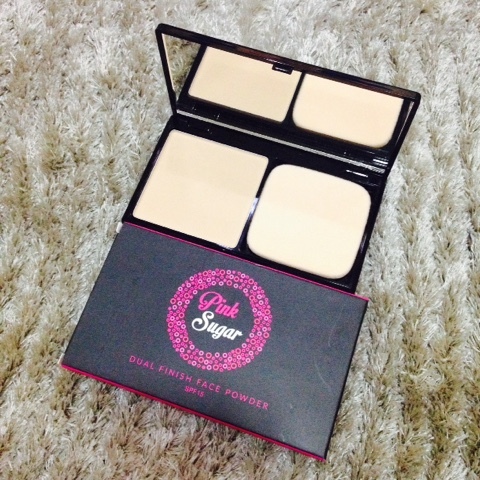 Uboxing the (2015) November BDJ Elite Box: Sugar Spice and Everything Nice* | Vanity and Everything in Between. It's Awesome BB Cream (30g, PhP499) - thesis a wonderful multitasked that's ideal for daily use. It moisturises, smoothens, and corrects your skin, thanks to its Green Tea extract, Aloe Vera, antioxidants, and SPF 25. 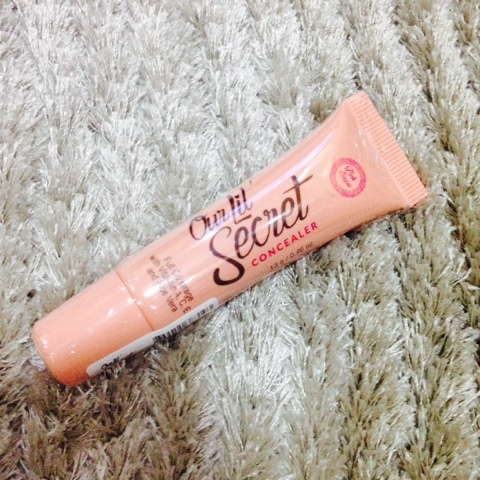 Our Lil' Secret Concealer (13g, PhP299) - promises long-lasting medium coverage in a very easy-to-blend application. Infused with Cucumber Fruit and Chamomile Extract, it also helps minimise and soothe irritations and puffiness. Dual Finish Face Powder (9g, PhP499) - packed with ginseng, antioxidants and SPF15, it provides a shine-free nourishing finish for the face all day long. 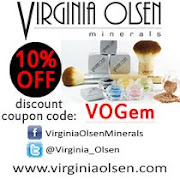 It comes in a mirrored compact and has a sponge for your quick touchups throughout the day. 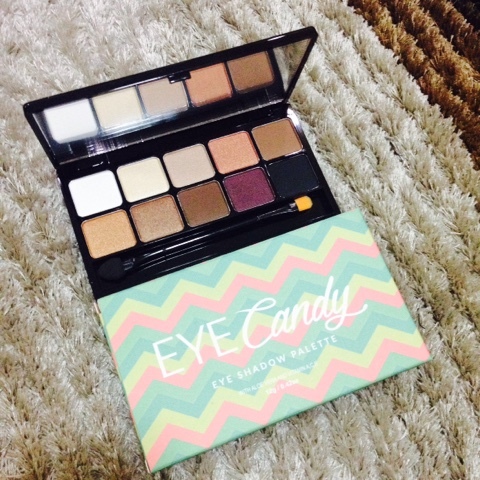 Eye Candy Eye shadow Palette (12g, PhP699) - 10 glorious matte and shimmer shoes that are professionally curated so you can mix and match to create endless looks. It comes with a dual-ended applicator for on-the-go use. 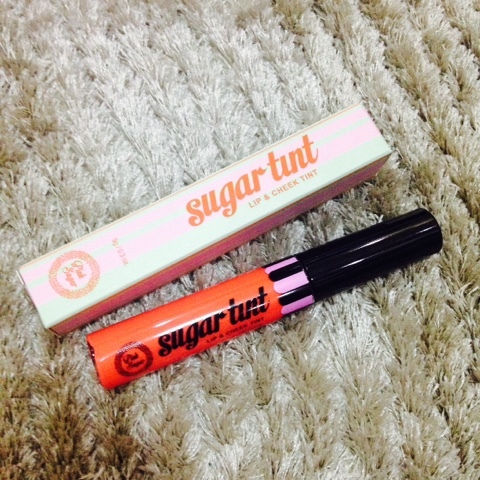 Sugartint Lip and Cheek Tint (9g, PhP349) - achieve perfectly pigmented cheeks and hydrated lips! This is long-lasting and versatile! Sweet Cheeks HD Cheek Color (6g, PhP349) - neatly packaged in a mirrored compact and complete with a soft brush! 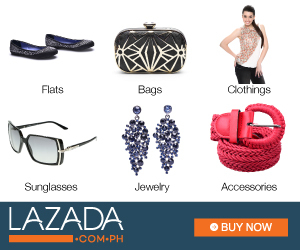 This product has a flattering range of shades that complement different skin tones. 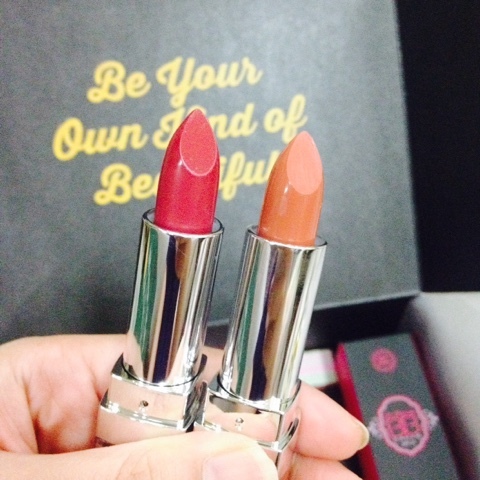 Creamy Matte (PhP349) and HD Lipsticks (PhP299) - creamy matte has 10 shades. Both lipsticks have Vitamin E and Shea Butter. I love this box mainly because everything is makeup. Oh btw, I didn't take a photo of the eyeliner because I already reviewed it here. If you bought everything in SM Beauty store, it will cost you PhP3,691. If you're subscribed to BDJ Box, then you got everything for half the price! BDJ Elite Box costs PhP1,480 [per box]. You can visit BDJBox.com to subscribe to their boxes. Their December 2015 box is already sold out so stay tuned for their announcement one they open slots for January 2016!